Historically, maps have been considered the province of men. In America it wasn’t monarchs and ministers but farmers and merchants who depended on them to govern and stay connected. For men, maps were an integral part of private life. Displayed in studies and libraries, they shaped masculine attitudes toward reading, writing, and interior décor. They were also essential tools for outdoor activities such as travel, surveying, or landscaping. 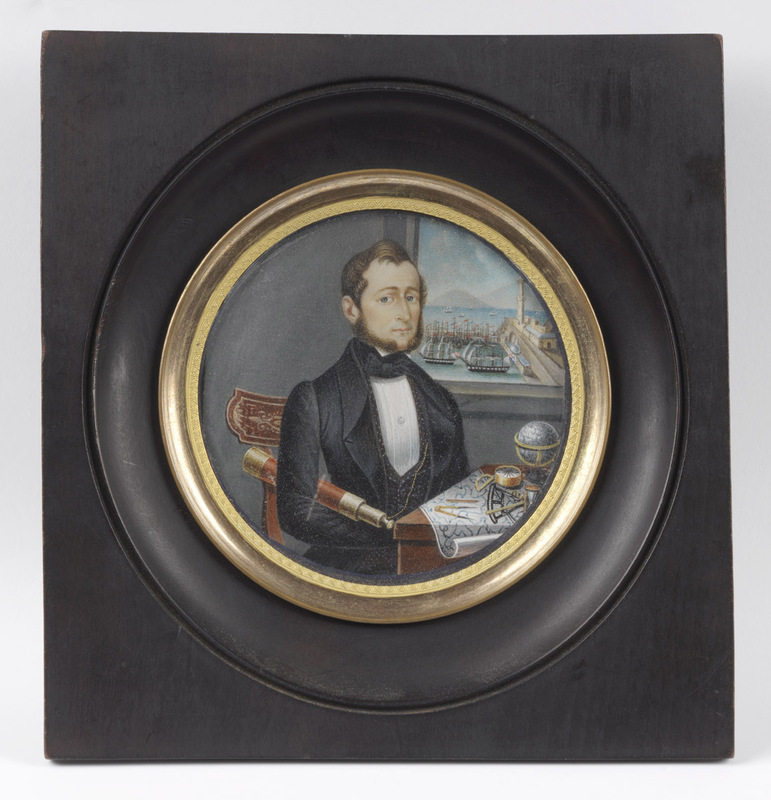 Above all, circulating in a culture in which social status was defined by land ownership, maps were at once useful and symbolic objects illustrating male identity and self-worth. 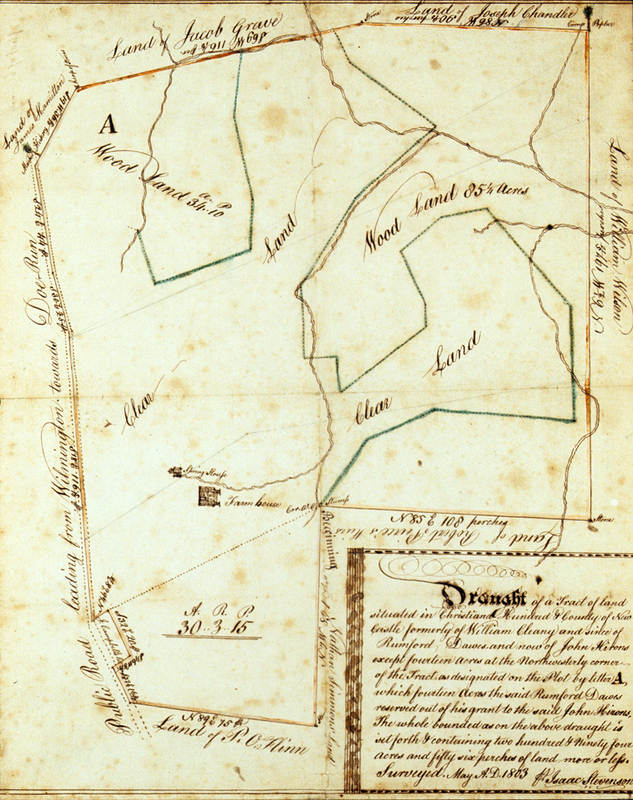 Local maps, ranging from town plans to rural estate maps, performed vital economic and cultural functions for property owners until the end of the 1800s. Designed for Philadelphia residents, John Reed’s Map of the City and Liberties of Philadelphia combined usefulness with art. 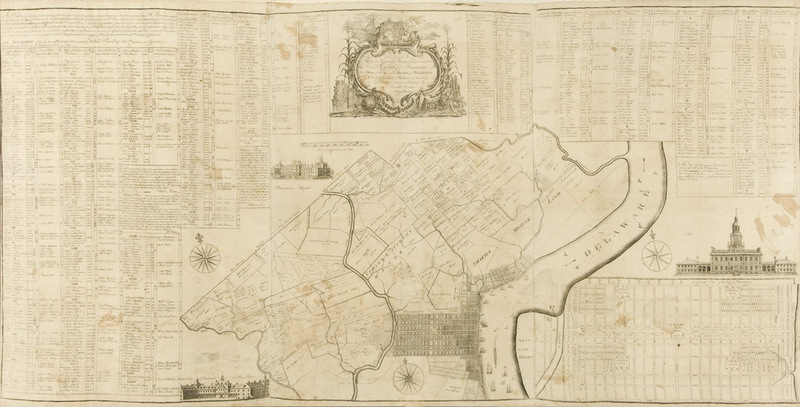 The six sheets show the city and its suburbs, including the surveyed lots of undeveloped land in the northern “liberties.” The map provided a panoramic directory that served groups such as merchants, tax collectors, and real estate agents. The decorative cartouche and engraved views of the Alms House, Pennsylvania Hospital, and State House associated the map with popular pictures of the time. 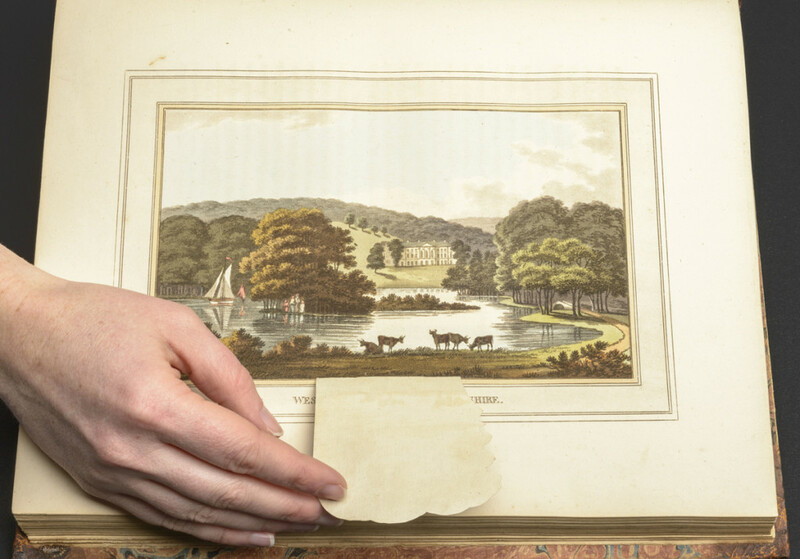 Printed on linen rather than paper, the map was a versatile, multipurpose object. The man of good taste turned to advice books in order to study the “Do’s and Don’ts” of domestic architecture. Rudolph Ackermann and other authors of advice literature for men frequently recommended the display of maps and globes in offices and studies—spaces associated with male privacy. 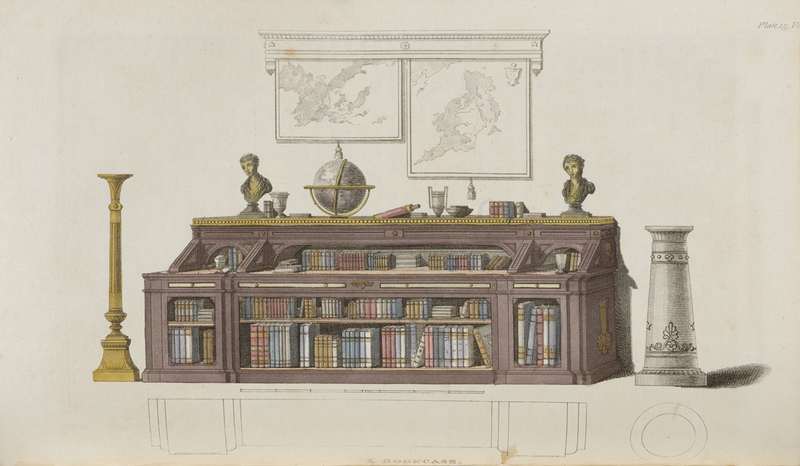 The maps were to be placed strategically, so as to enhance and balance the ensemble of furniture with decorative objects. With proportion and propriety ruling the design, the display of wall maps signified personal knowledge and the virtue of gravitas, two attributes valued in men. 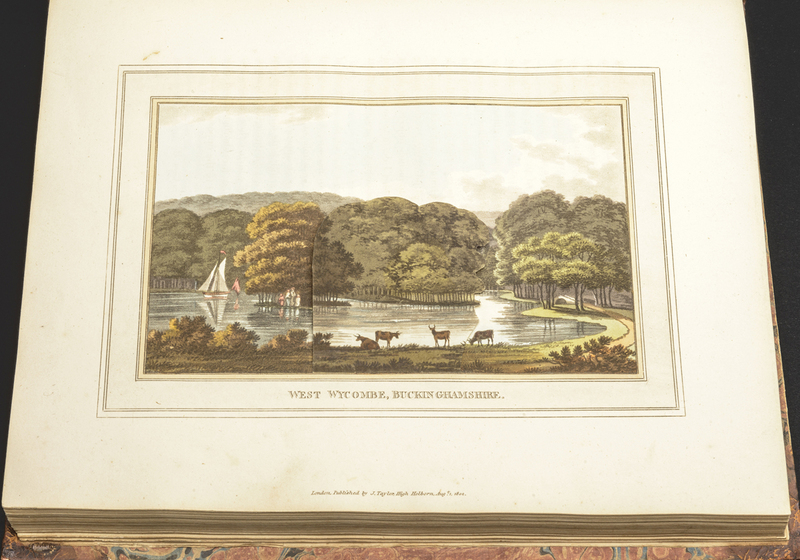 As landscape gardening came of age in the early United States, the well-heeled as well as middle-class landowner sought out design and pattern books. 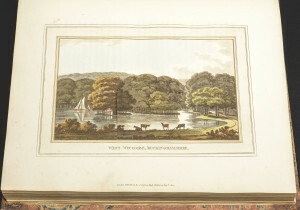 The most popular ones involved before-and-after views, illustrating how changes in topography or vegetation allowed a countryseat or suburban home to become integrated into the landscape. While these views followed plans formulated by aesthetic theories such as the picturesque style, each called for the ability to read map drawings in order to interpret changes to the land. Maps and globes were popular props in portraits and genre paintings throughout the 1700s and 1800s. A map showing the United States could signal a sitter’s economic station, educational accomplishment, and national identity. This portrait miniature depicts a well-dressed man seated at a desk surrounded by the tools of his profession—the telescope, chart, globe, hourglass, compass, sextant, and pencil—identifying the sitter as a member of the merchant marine. 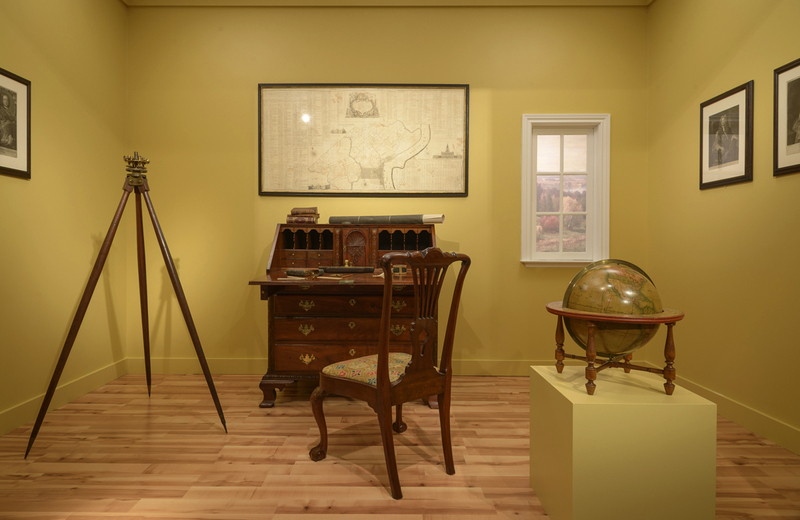 Terrestrial and celestial globes were important components of a gentleman’s study during the 1700s and early 1800s. 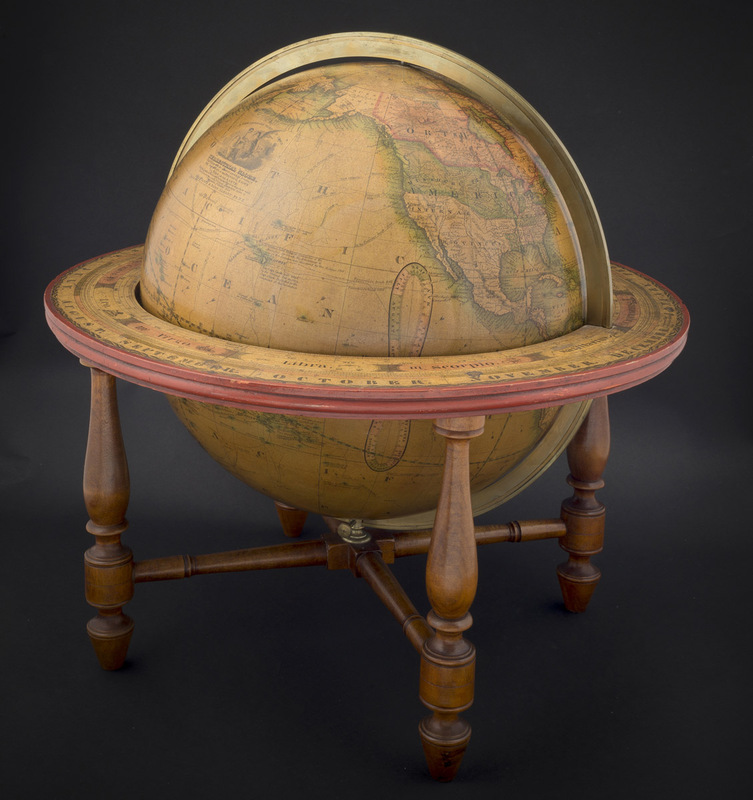 By the 1820s, the manufacture of terrestrial globes increased substantially, with furnishing and publishing houses offering versions from 6 to 30 inches in diameter. Stands or partial frames for the globes were custom-made to match the architecture of studies and office spaces. Land was perhaps the most common commodity owned and traded by Americans of all ranks in the colonial and early national period. Because land ownership determined individual wealth, social rank, and taxes, it was in a landowner’s interest to be a skilled surveyor. 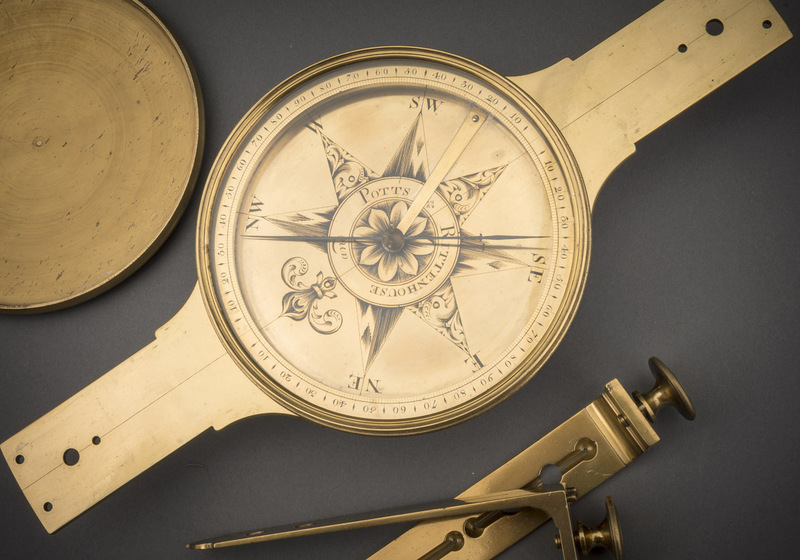 From the early 1700s onward, tutors and evening schools offered surveying lessons to semi-literate farmers in addition to well-read gentlemen, teaching technical terms, geometry and algebra, and the art of mapmaking. The results of a land survey consisted of a field book (a record of all measurements) and a plat (a map showing the surveyed land). Land surveying provided a steady—even lucrative—job for young men, including future presidents George Washington and Abraham Lincoln as well as naturalist and philosopher Henry David Thoreau. 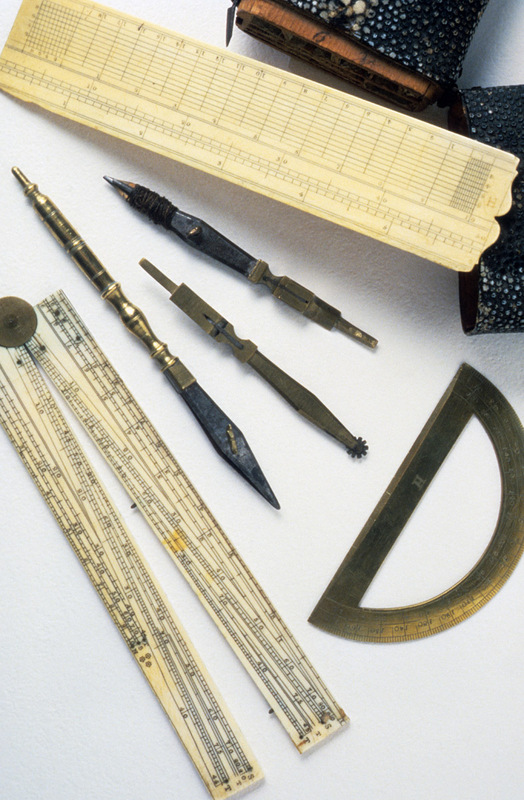 In addition to taking classes, farmers and landowners could study the art of surveying with the help of how-to manuals. 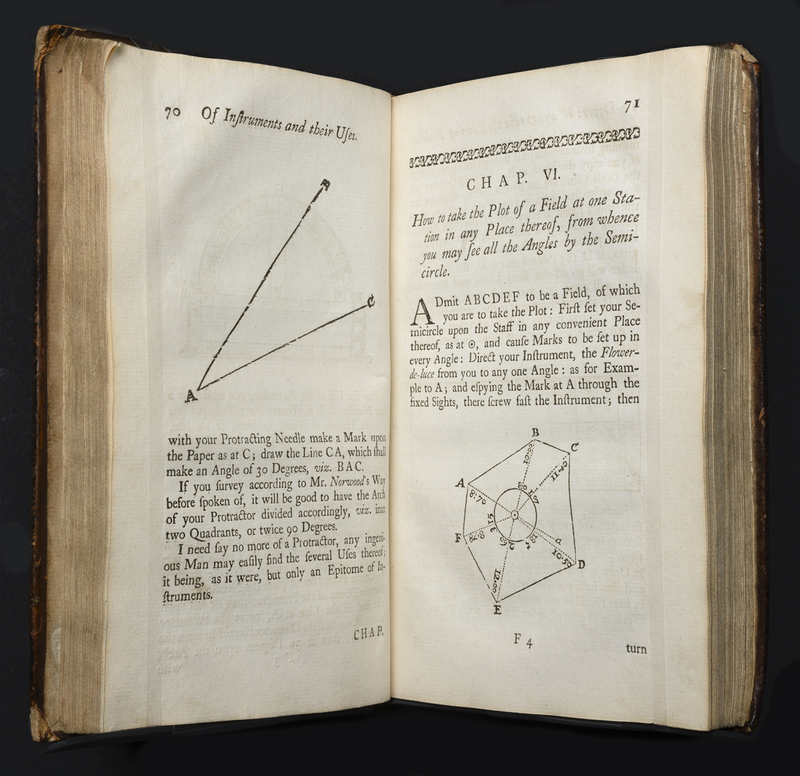 At the time of the American Revolution, there were more than a dozen textbooks in circulation, teaching the basics of geometry and trigonometry, the method of surveying land by compass and chain, and the art of writing and “polishing” (coloring) a map. 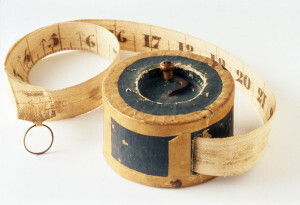 John Love’s handbook, Geodæsia, published in 1688 and still in use in 1800, was one of the first manuals to specifically address surveying practices in North America. 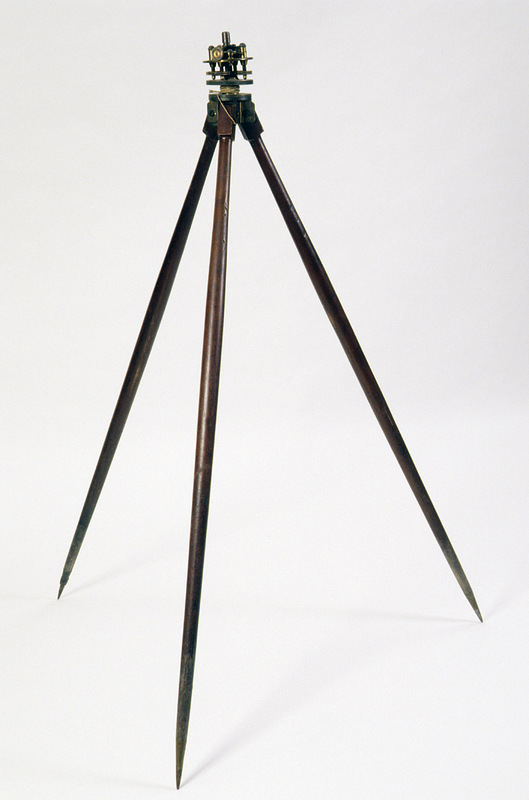 Because there were not many church steeples to provide long-distance views for taking measurements, American surveyors did their work on foot, cutting through vast forests and wading through snake-infested swamps.